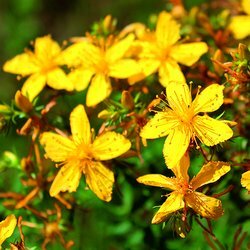 Sometimes mistaken for a weed&comma; St Johns Wort has small green leaves with stunning bright yellow star shaped flowers. Its commonly used to treat depression or can be used as an anti-inflammatory. It also helps to heal wounds and burns.